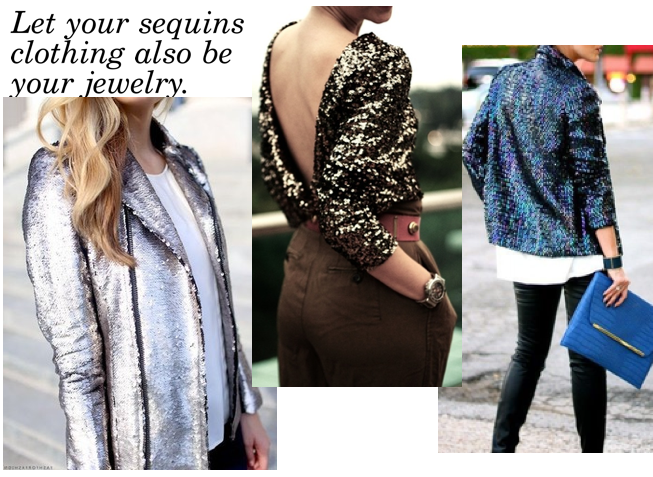 Wear colors to match the sequins garments you have, so it’s not as dramatic. 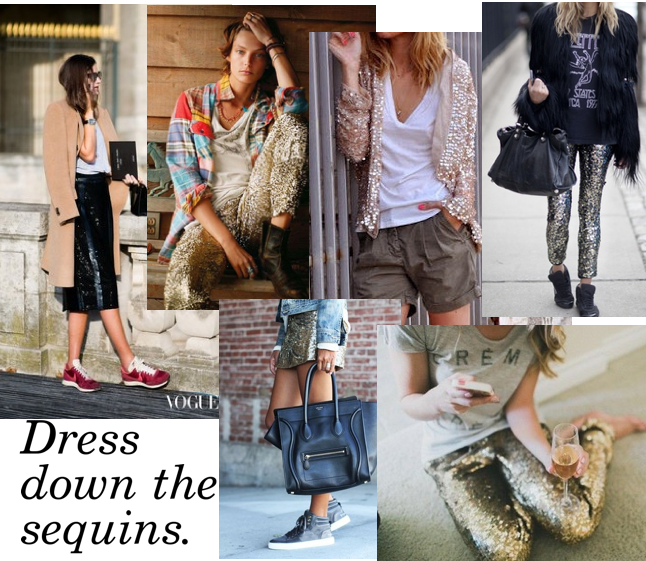 Pair your sequins with casual items, like jeans, t-shirts, blazers or sneakers. If that sequins number isn’t working on you anymore or you just refuse to wear it again as you did last year, instead of selling or storing it in the closet without strutting time, cut and rework your pieces into something else or have a semstress do it for you. 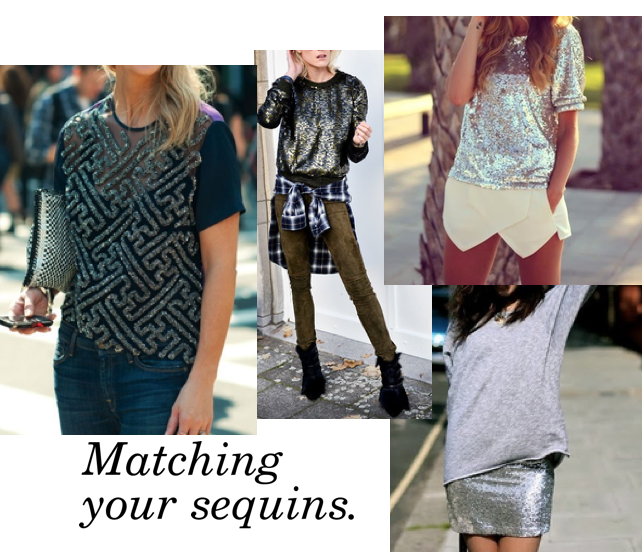 Take a sequins party dress; cut and design it into anything you want, a top or a skirt, incorporate it into another garment to give it new life! 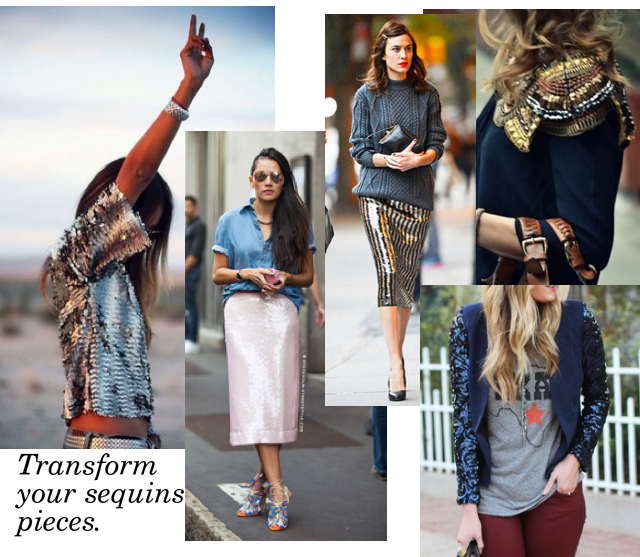 Get the look you want with some of these pieces! Resorting To Celine, Givenchy And Phillip Lim. The Flower Child No See, Hear or Speak The Evil Stuff.